WAAAGH HUI SHAN!!! HERE COMES THE PAIN!! Hui Shan here! This week, I am back with the update of the Nobs, and the Painboy. Look forward to the Deff Dread next week! 5 Nobz pluz 1 Big Boy! 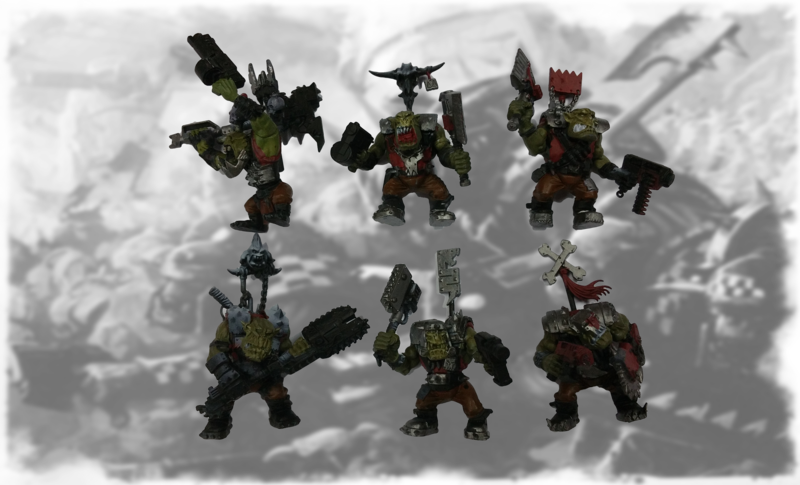 5 Nobs pluz a Boss Nob from da Boyz.